I drew a building with Archicad 19, exported it as STL format and imported it into Simscale. Unfortunately I am not able to create the mesh: instead of the correct shape of the building Simscale create a pyramid. Always make sure to post the link of your project in your description and set it to public so that we can see it. Once that is done we can begin with the investigation. I just shared to support. That’s the link: https://www.simscale.com/projects/at79/comici2224mstl4/ You can directly post it here in the future, that’s usually faster. We’re having a look at this asap! you send me a link of a video/tutorial of a similar project? It is a simple wind loads simulation of building. At first glance I can tell you that the surfaces of your house need to be split. Are you working on an indoor analysis or trying to couple CFD with an FE analysis? How could be split the surfaces? It is possible to split it directly with simscale? This is indeed possible however I cannot make it work. I also assume that your geometry might not be watertight as I can see some line that separates the floor and the rest of the building if I am not mistaken? You can split the building inside your CAD software or use Onshape if you have used this before. Let me know how things go! It is the same if I use STP or STL? Could you send me link of a video tutorial of a similar project? These formats are indeed not the same and STEP usually comes “already split”. You could convert the file and re-upload it. For the split operation there is no special example but if you imagine a cylinder that consists of one whole solid you could split that using the geometry operation otherwise you could not assign the boundary conditions separately. Does that make sense? If not I can upload an example to show it properly. This operation is tipicaly if for users that use STL. The STL file contains at least one edge where three triangles join (it describes a non-manifold surface). This might lead to issues in the downstream workflow (e.g. splitting in separate faces will not be possible, mesh generation might fail). 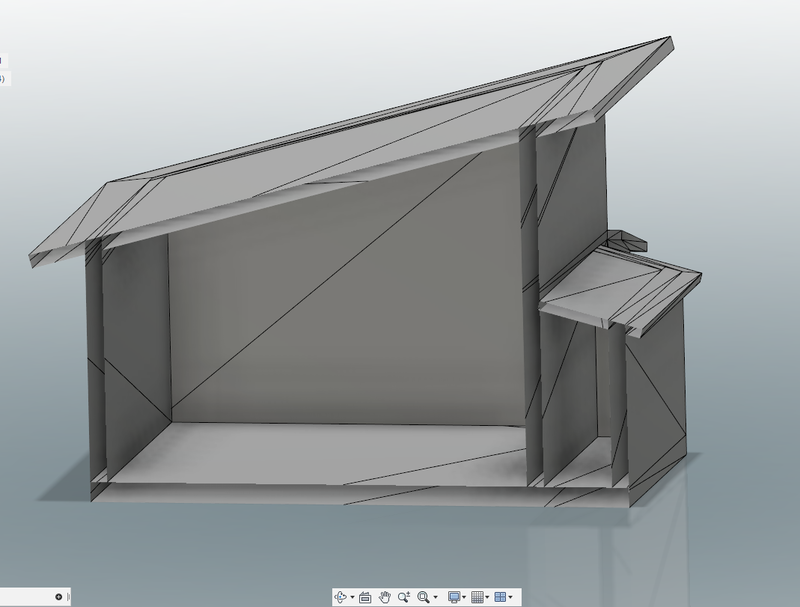 To be safe, upload an STL in which at most two triangles share one edge. Have you tried converting your file with Onshape or any other tool? You can send it to me via mail (jmurad@simscale.com) and I will try to convert it with a tool on my machine. thanks for the nice job bout it doesn’t work. SimScale is not able to mesh the surfaces. An internal mesh could not be created as the geometry model consists at least partly of surface data. Please try to solidify these parts. Please check the ‘Event Log’ and ‘Meshing log’ for more details. In case of questions, feel free to contact us at support@simscale.com or ask in the Forum. Ani tried to split the surfaces but the mesh doesnt work already on SimScale. Tomorrow I’ll send you the STL file if you think it makes sense. If it always doesn’t work I have to try another CAD software. Ani is right here. You have to use one layer in order to mesh the geometry properly. Then these weird artifacts and multiple splits that you have seen in Ani’s share before should not occur anymore. 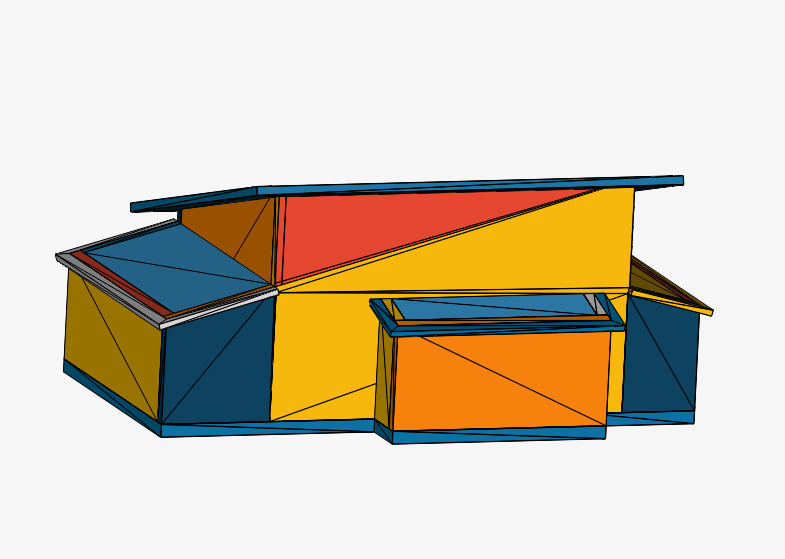 I’ve finally managed to draw a stp that SimScale is able to split the surfaces. Next problem: i can not find the external flow domani box. I saw the tutorial " Applications of CFD & FEA Simulation in the Construction Industry" ant without this box is not possbile to assign the boundary conditions. Other issue: Incompressible anlysis LBM is locked. What ist the reason? In geometry perspective section you will see the bounding box option which will determine the size of your domain. Change the dimension of the box according to your need and set the material point outside of the house //or// if you are using the automatic meshing process, then just click on the external meshing mode option. Regarding the LBM solver: This solver is only available for professional users so if there is any interest for a professional license please let me know and I will forward your query.